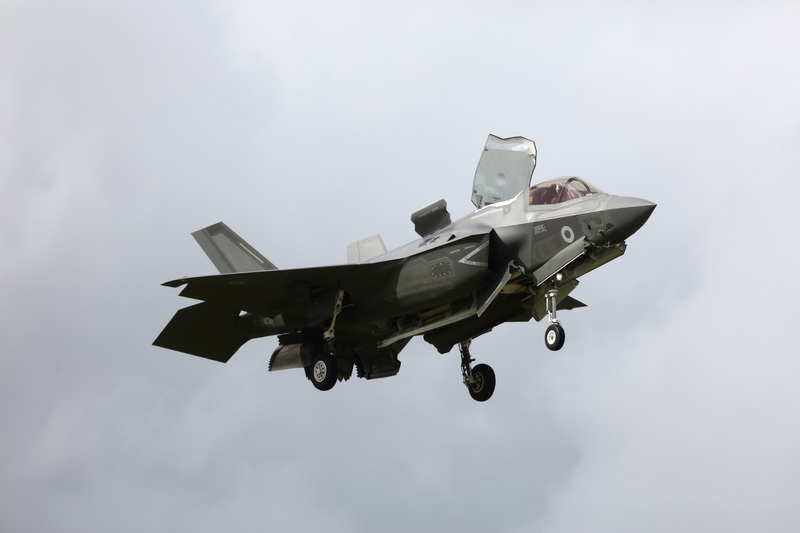 Transfers to Turkey of Lockheed Martin Corp.’s F-35 would be barred temporarily under a compromise defense policy measure agreed to on Monday, according to House and Senate aides. Turkish receipt of the fighter jets would be held back until the Pentagon submitted an assessment within 90 days of the measure’s enactment on U.S.-Turkish relations, the impact of Turkey’s planned acquisition of Russia’s advanced S-400 missile defense system and the ramifications for the U.S. industrial base if Turkey is dropped from the international F-35 program. The move, reflecting the tensions in U.S.-Turkish relations, is part of a $717 billion defense policy bill (H.R. 5515) for fiscal 2019 crafted by congressional negotiators that awaits final approval in the House and Senate. The measure also would hold back some funds for Defense Department cloud activities, reflecting the controversy over a winner-take-all cloud contract that competitors say would favor Amazon.com Inc. Under President Recep Tayyip Erdogan, Turkey plans to buy about 100 F-35s, joining the U.K. and Australia as the top international customers. At least 10 Turkish companies are building parts and components, such as the cockpit displays, for other partners, according to Bethesda, Maryland-based Lockheed. The compromise measure crafted by the House and Senate Armed Services Committees also would let the president waive a requirement to impose sanctions on countries and entities doing business with Russia for as long as 180 days if the party involved is taking steps to distance itself from a commercial relationship with the Russian defense and intelligence sectors, according to committee aides and a Democratic summary of the bill. • Would hold back 15 percent of requested fiscal 2019 funding for Defense Department cloud activities until a report on strategy and the migration of data is submitted within 90 days after the bill’s enactment. The House version had called for withholding 50 percent. But the provision isn’t intended to delay award of the disputed multibillion-dollar JEDI Cloud contract. • Would authorize buying two Ford-class aircraft carriers built by Huntington Ingalls Industries Inc. under a single contract but require the Navy to submit certain certifications before putting the second carrier on contract in fiscal 2019. • Wouldn’t eliminate the Washington Headquarters Services, a support agency for the Pentagon, as proposed in the House-passed version. • Would authorize three Littoral Combat Ships, two more than requested by Navy. The ships are made in two versions by Lockheed and Austal Ltd.
• Would authorize 77 F-35s, as requested by the Trump administration. • Would allow low-yield nuclear weapons to be carried on submarines but require yearly authorization.